Swing every which-way on this spinning disc swing! 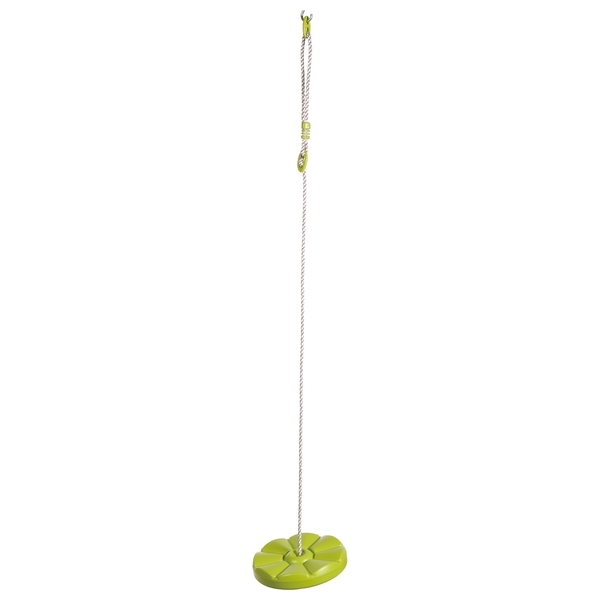 The disc is plastic moulded making it comfortable to sit on while the smooth height adjustable swing cord won’t scratch your palms as you play! Hang it from a tree or a swing set and away you go!